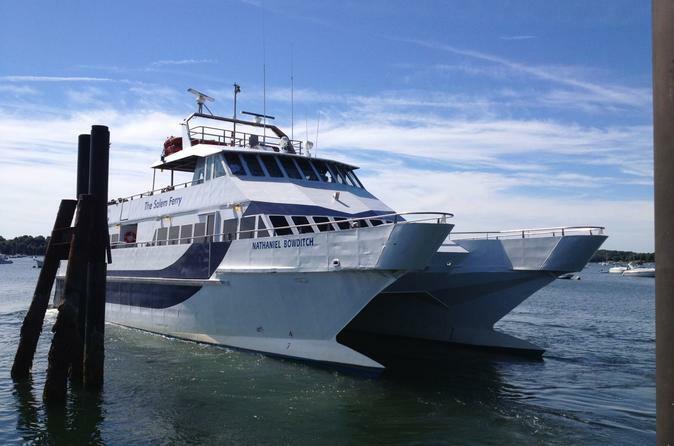 Make the most of your time in Boston or Salem with this high-speed ferry service. Travel in speed and style aboard a comfortable catamaran with your one-way or round-trip ticket, letting you visit two of Massachusetts’ most famous and historic stops. This swift boat ride is the best and fastest way to get you where you want to go! Why settle for one great Massachusetts-city when you can experience two? With your one-way or round-trip ticket, take the high-speed ferry between Salem and Boston to experience two of the state’s most historic cities. Admire rich landscapes dotted with beautiful homes, fishing boats, and lighthouses as you’re whisked away to Salem or Boston, depending on your departure location. With twin diesel engines that propel you at a top speed of 33 knots, you’ll arrive at your destination in under an hour. This 149-passenger vessel features a comfortable indoor-lounge and outdoor lower and upper decks, where you can admire picturesque views and feel the refreshing wind on your face. The on-board galley offers a variety of breakfast and lunch items such as sandwiches, snacks, hot dogs and pretzels, as well as beverages such as coffee, sodas, juice, sports drinks, beer, wine and top-shelf cocktails. Three restrooms are available for your convenience. Once in Salem, you'll be in walking distance to some of the city's best attractions such as the House of Seven Gables and the Peabody Essex Museum. In Boston, it's an easy stride from the dock to the New England Aquarium, the Old North Church, Quincy Market and much more.